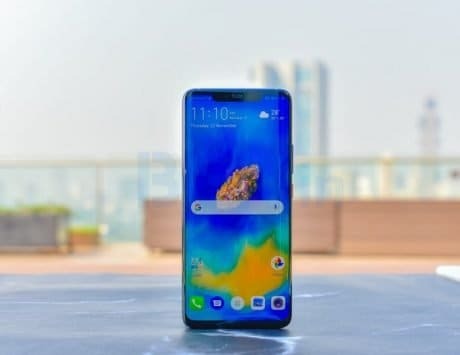 Here's the full review of Samsung Galaxy M10. Ever since the smartphone market picked up in India, Samsung mostly remained the king in all segments until the heat of online kicked in. 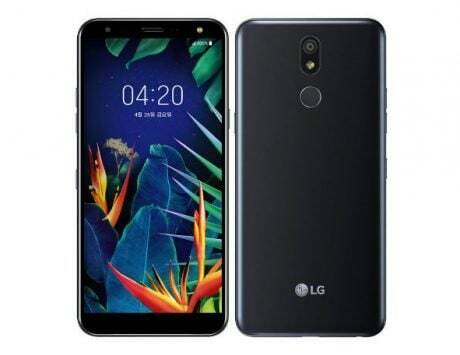 The South Korean manufacturer has had a greater offline presence than any smartphone company in the country, but when competition became fierce online, it had to come up with an answer. After the poor performance of the online Galaxy On series, Samsung recently brought a new Galaxy M lineup, which would replace On series with better designed value proposition targeted towards online buyers and more importantly ‘millennials’. Particularly in the recent past, Samsung faced a lot of competition from the online brands such as Xiaomi, Honor, and Asus. 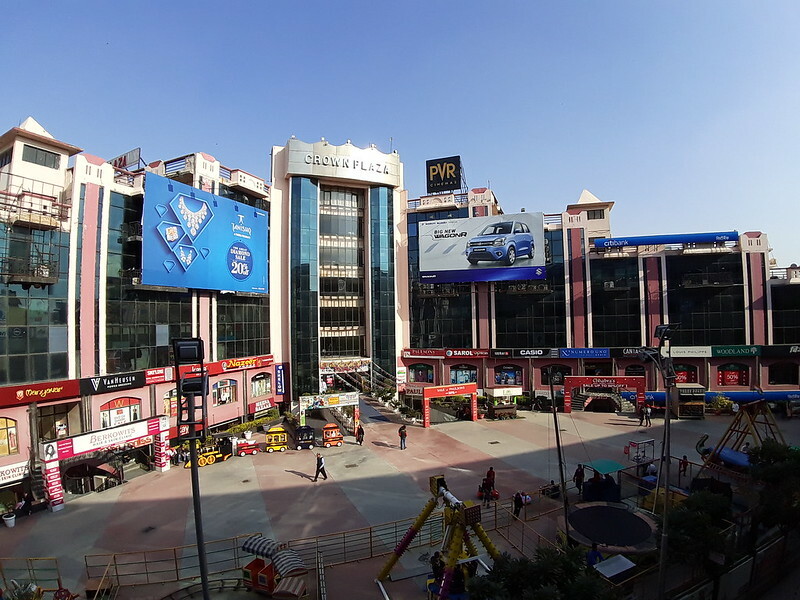 Hence, the company launched two Galaxy M smartphones in the sub Rs 10,000 and Rs 15,000 price segment. The Galaxy M10 serves as the cheapest online only offering from Samsung with a starting price tag of Rs 7,990. The handset comes in two variants of 2GB RAM with 16GB internal storage, and 3GB RAM with 32GB storage. I got the latter with 3GB RAM for my review, which costs Rs 8,990. Here’s my full review of the Samsung Galaxy M10 3GB RAM variant. Samsung has a history of making good looking devices, and Galaxy M10 is no exception. Even with the polycarbonate body, Samsung has made it look so good that you can flaunt it without a cover. In terms of design, the glossy body feels much lighter and it is easy to grip. Having said that, both front and back of M10 is prone to fingerprints/ smudges. In my case, I was still happy using the phone without the cover because it never felt delicate. 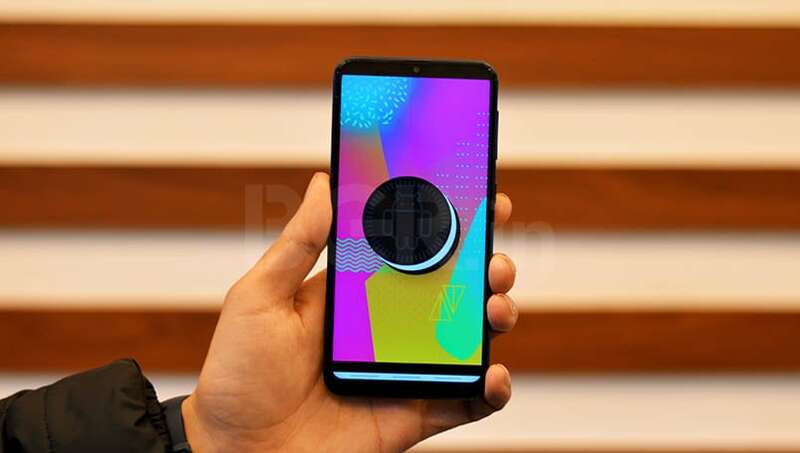 On the front, the Samsung Galaxy M10 boasts of a 6.2-inch Infinity-V display with HD+ (720p) display, which looks good and offers punchy colors. This one is a TFT LCD panel, but it still makes for a good quality visual experience. 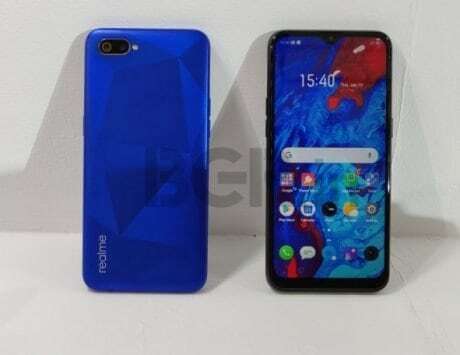 The tiny ‘waterdrop’ notch packs the selfie camera and then there is a thick chin at the bottom. Visually, there is not much of difference upfront with Galaxy M20, but one can notice with little attention. The videos look pretty good on M10’s display, and Widevine L1 certification means you’ll be able to stream HD content through all popular streaming apps. Overall, the Galaxy M10 design is good for its price and it is much sleeker than M20, so feels better in hands. Its USP is the Infinity-V display, which is much similar to a waterdrop-style screen that you now see from many Chinese manufacturers. 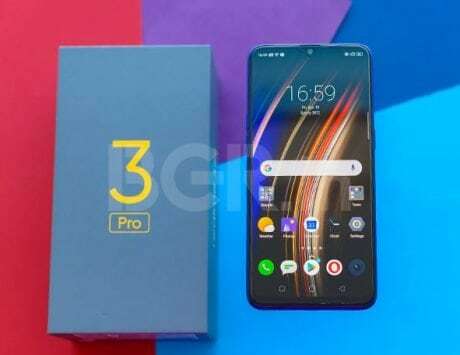 Considering it comes affordable with Samsung Galaxy M10, consumers would be delighted. 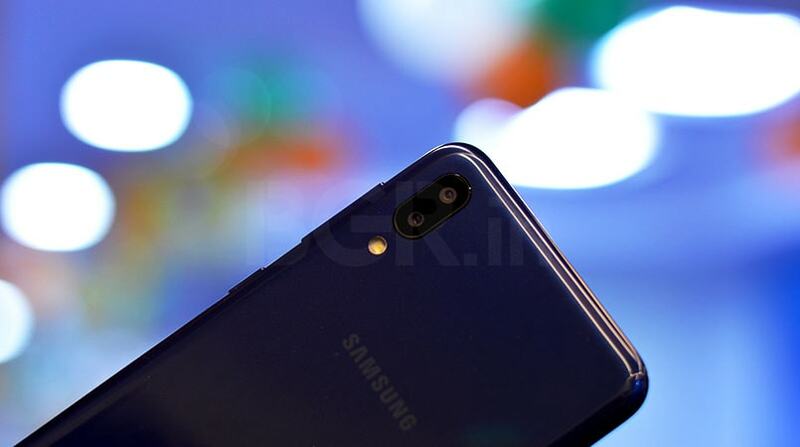 The Galaxy M10 packs a dual-rear camera setup with a 13-megapixel and a 5-megapixel lens combination. 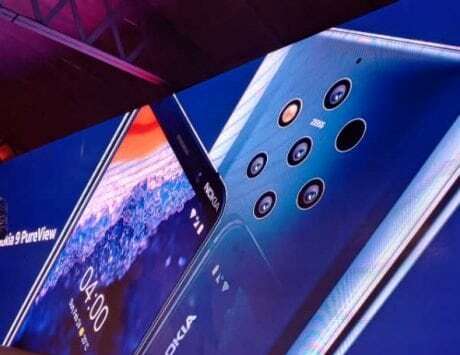 The secondary 5-megapixel camera in the rear setup is a 120 degree ultra-wide lens, which is the first in its price segment. In terms of overall quality, the rear camera is just about average and didn’t impress me in my review time. Having said that, I wasn’t expecting a great quality imaging either. To break it up for easy understanding, the rear camera decent for daylight shots. It gets colors right, but images do not get much detailing. When it comes to low-light images, these mostly come out grainy and unusable. We aren’t sure if these things can be fixed with a software patch or not, but in the same price segment you do have certain phones that take better images than the M10. For selfies, the M10 doesn’t have much on offer too.The 5-megapixel front-facing camera takes average selfie in daylight, and mostly poor in low-lighting conditions. You can check camera samples below (slideshow). Internally, the Galaxy M10 is powered by Exynos 7870 octa-core processor. 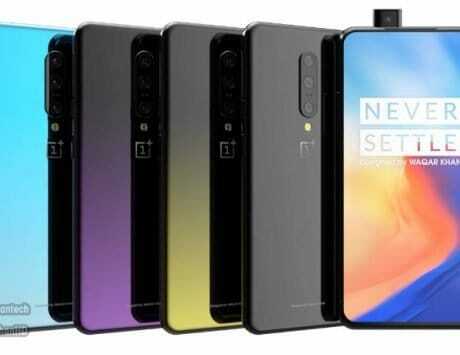 The smartphone will be available in two RAM and storage variants. 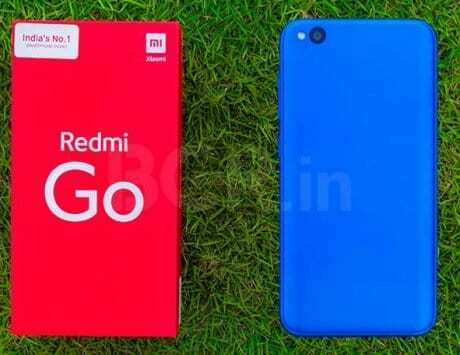 It’ll pack 2GB RAM with 16GB internal storage, as well as 3GB RAM and 32GB internal storage. Our review unit included 3GB RAM, which is the higher variant. I feel the 16GB storage is very less in modern age smartphones, but Samsung has make up for it with three individual slots, which means you can use two SIM cards (Nano-SIM+Nano-SIM) and a microSD card at the same time. Both slots support 4G VoLTE as well. Interestingly, the SAR value of Galaxy M10 is probably the lowest in this segment at 0.273W/kg (Head SAR). While the processor isn’t exactly new on Galaxy M10, I still find it to be pretty okay for the price. In my review time, I didn’t face any problem with its performance as such. Samsung’s Experience UI 9.5 as an overlay works decent in most conditions. I used two SIM cards and with almost over 100 apps installed, still the multitasking was fair, if not smooth. While the heavy games such as PUBG had very little load time, although the gameplay was little sluggish, but that is okay for a smartphone in this segment, and consumers should not expect flagship performance in this range. I feel Samsung can considerably enhance the performance of M10 with company’s latest OneUI interface, which is much lighter. 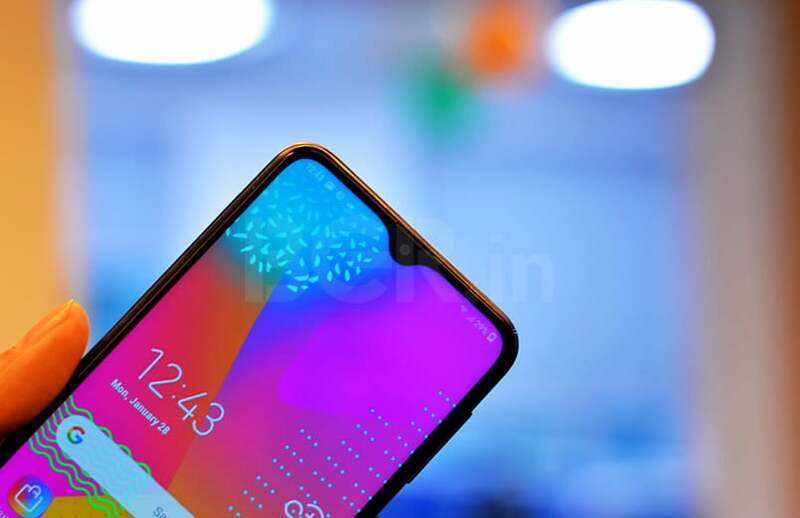 While having good experience with the performance of Samsung Galaxy M10, the one thing that disappointed me a little was the exclusion of fingerprint sensor. The M10 misses a basic fingerprint sensor security, which is a bummer because the face unlock doesn’t work any good. The face recognition has certainly improved from the Galaxy J4+/J6+, but the improvement is very marginal. Each time it took about one-second extra for Galaxy M10 to unlock, and if Samsung can improve it with a software patch then they should definitely consider upgrading the face unlock security time first. 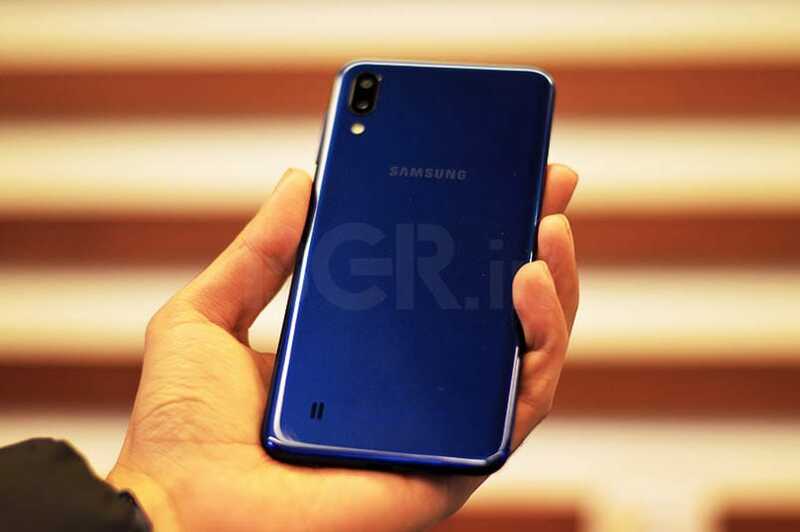 While the Samsung Galaxy M20 offers a big 5,000mAh battery with USB Type-C fast charging, the Galaxy M10 will comes equipped with 3,400mAh battery with standard Micro-USB charging option. The retail box gets a Micro-USB charging/data-syncing cable with 5V/1A two-pin wall charger. During my review time, the phone could easily last one full day with average usage and video streaming/playback. 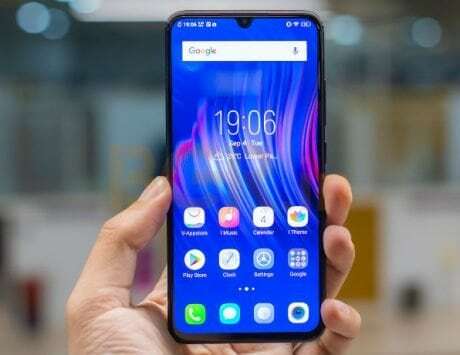 If you use social media apps with little bit of video streaming and normal day-to-day tasks such as email, maps navigation, then you can be sure of the battery on Galaxy M10. Not just that, Samsung offers pretty aggressive battery management and in my case i was left with at least 10 percent battery to spare after one full day. Just like other Samsung phones, users will be able to take advantage of the ‘Power saving mode’ in battery settings of M10. It is OFF by default, but there are two configuration presets – MID and MAX. These mode limits screen brightness, CPU speed, background apps and network usage to provide more power-on time for the smartphone. 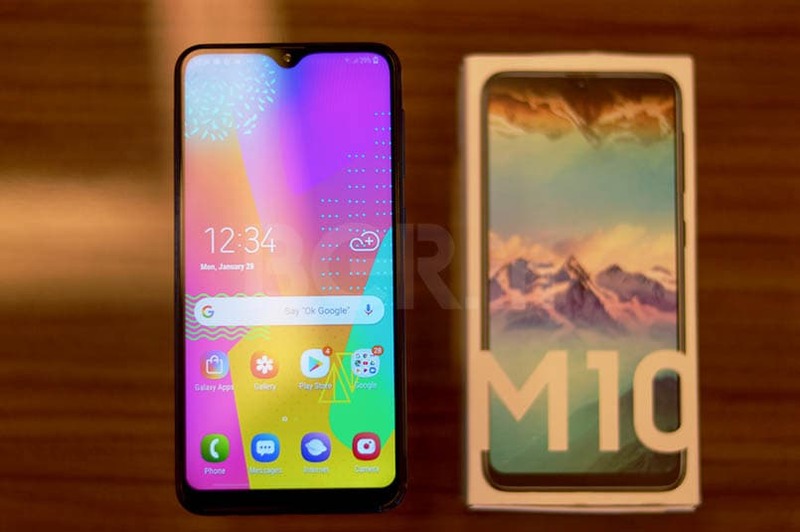 In my opinion, the Galaxy M10 is a competitive offering from Samsung under Rs 10,000 price bracket. While it ticks most checkboxes that consumers look for in this price segment, Samsung has missed one basic feature of fingerprint security in M10. Other than that, the only problem I felt with the phone is its slow face unlock feature, but then phone’s overall performance makes up for the little flaw. 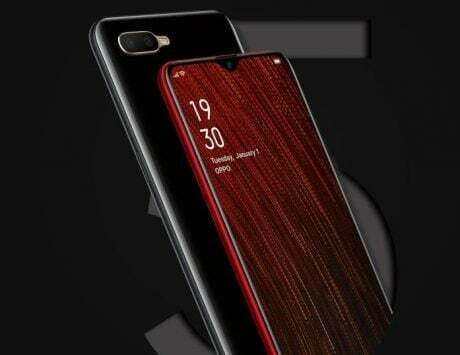 The best part about the phone is its design. Additionally, you get a bigger and brighter Infinity-V display, which is another positive aspect of the device. The M10 also comes with brand trust of Samsung, which will make it a perfect buy for most consumers of any age and not just millennials. Samsung will be selling the phone online only, and it goes on sale from February 5. The handset will be available exclusively available on Amazon India along with Samsung’s own online store.